Sadly dolphins in captivity do not enjoy their lives confined in an unnatural environment unable to do much of anything that is natural for their species. Please send an urgent message to Dolphin Marine Magic demanding Bucky’s immediate retirement, and freedom to live the rest of his days in peace with his pod in an accredited sea sanctuary – there is more action you can take for Bucky and other dolphins further down. Bucky has worked entertaining people for many years confined and restricted from living a full and normal life. He is a highly intelligent animal and deserves better, he has been seriously ill with cancer and he is also getting old, surely it is time now to for him to retire and spend the remainder of his life in peace. He deserves this surely after so many many years of captivity. Bucky, a 47-year-old dolphin at Australia’s Dolphin Marine Magic, is forced to perform tricks and participate in swim-with-dolphin programs daily despite the fact that he is recovering from cancer. 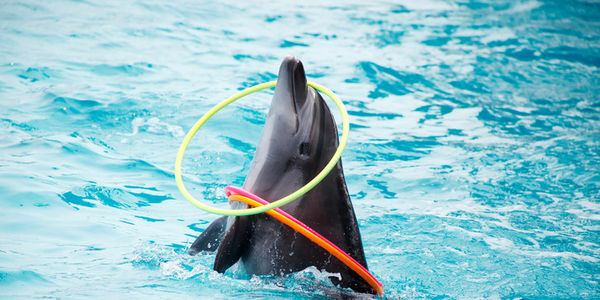 Although Bucky is equivalent in years to an 80-year-old human and has been sick, he is regularly forced to jump through hoops, do flips, give guests “dolphin kisses,” and even carry tourists across the water on his back. DMM: Retire Bucky, the Elderly Dolphin With Cancer Forced to Carry Tourists on His Back! No animal should be kept in captivity, no creature should be forced to entertain fickle minded people. Dolphins belong in the sea free to roam ,free to live the life that nature intended. Help free Bucky from enslavement by sharing this petition widely. http://www.care2.com/greenliving/45-year-old-dolphin-recovering-from-cancer-forced-to-perform-in-aquatic-park.html This link includes a further petition concerning dolphins in Australia. “Buckys Cancer is Back. The Veterinarian at Dolphin Marine Magic told AFD recently. Bucky is still WORKING, doing shows!!!!! 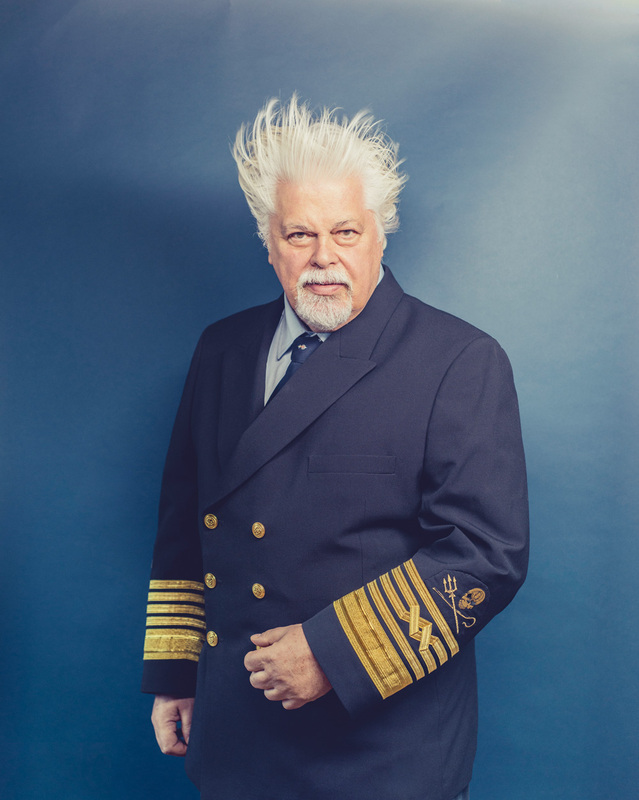 PAUL FRANKLIN WATSON, the 65-year-old, silver-haired marine wildlife conservation and environmental activist, founder of the influential SEA SHEPHERD CONSERVATION SOCIETY and co-founder of GREENPEACE, is a celebrity. His job and passion is to ram whaling boats. Paul promotes veganism and a biocentric, rather than anthropocentric, worldview. Of course, he is on Interpol’s international fugitives list, but now, France has granted him political asylum. THANKS, PAUL AND SEA SHEPHERD CONSERVATION SOCIETY. I regret as a result of personal issues which are still ongoing I have not been on-line for a while writing or publishing for this blog. From time to time I will try to post a blog entry from either myself or guest blogger Luis Leonel but these may be sporadic at best. Apologies if I am not always able to respond to comments or comment on the blogs I follow and those who follow me. For the first blog after such a long break I thought it might be good to include something positive. In fact I hope to include more positive posts than previously in order to create a better balance. With the emphasis on unbalanced and often biased negative aspects of the news the world can seem like a bleak place with little of any good taking place. While there is much evil in the world perpetrated towards both human and non human animals there is also much good. So many people in their everyday lives contribute to a better world not necessarily in momentous actions but in little ways often not noticed or deliberately ignored – frankly I consider there is a deliberate emphasis on negativity. Why this is so I hope to discuss in another post. But for now today something positive!!!! Erin really looks after her numerous pets very well and it is good to see animals so well cared for. Furthermore it is also good to include something positive about a young person as so often young people are maligned and stereotyped as selfish and uncaring which is most certainly not the case at all. There are just so many videos included in Erin’s You tube channel it was hard to choose a small selection, so if you get a bit of spare time I highly recommend that you watch some of these videos: Pets Palace TV. It is heartwarming to see animals so well cared for, especially guinea pigs and rabbits, two pets often so neglected. Furthermore if you are going through a difficult time or when the cruelty, brutality, greed and selfishness of the world gets you down remind yourself by watching videos such as those above and below that there is goodness in the world, there are good and caring people who try to make a difference when and wherever they can. I like this website from The Good deeds organisation. Simple stories of acts of random kindness by ordinary people. In the great scheme of things maybe the people above seem to make only a small difference yet they make a meaningful difference to the lives of the people or animals whose lives are enhanced by their kindness and caring.